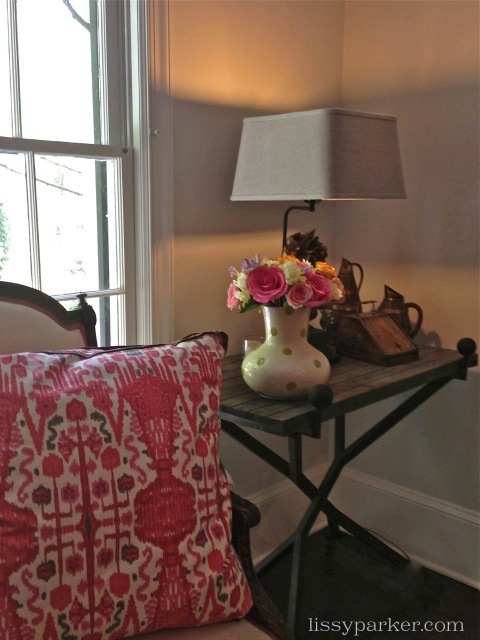 Roses, Freesia and New Pillows! I love the beautiful, bright, happy colors popping up everywhere this Spring! 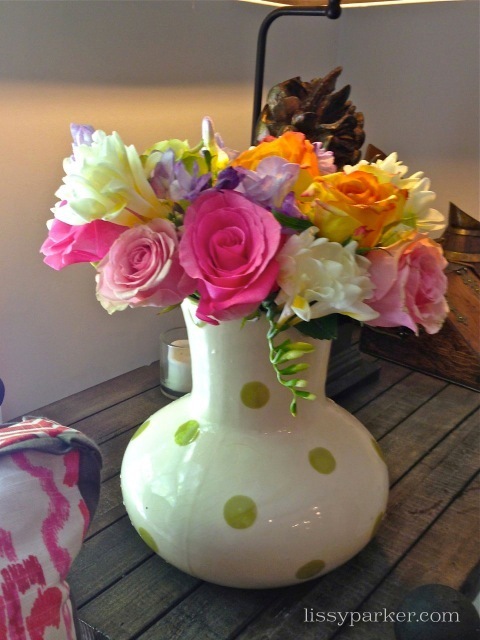 These colorful roses and freesia captured my eye at the market today, and I just had to bring them home! 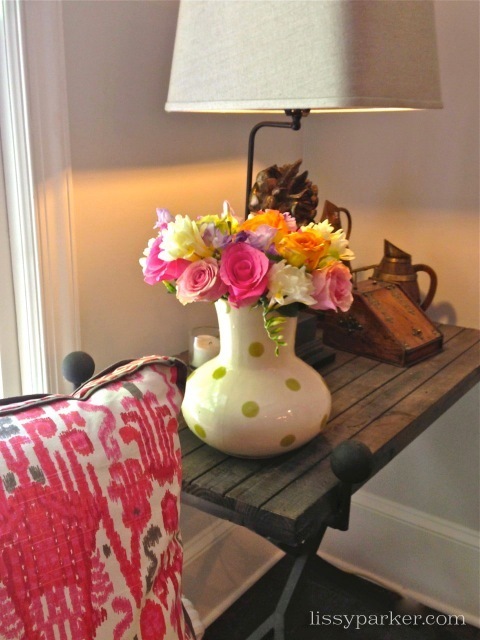 I found this polka dot vase in the flower closet—really a shelf in the pantry—and knew it was the perfect container for such a happy bunch of blooms. The new pillows are from Boxwoods and come in several colors. They will be moving to Cashiers on Wednesday. Have a Happy Spring weekend! What happy colors to start my weekend. Love the vase- perfect for the beautiful bouquet. Think those pillows would never make it to Cashiers if they were on my sofa…have a great weekend, Lissy!! Don’t worry—more are being made right now. Love these color combinations! You are so right – Makes for a happy room. Laura, They made a very happy room.